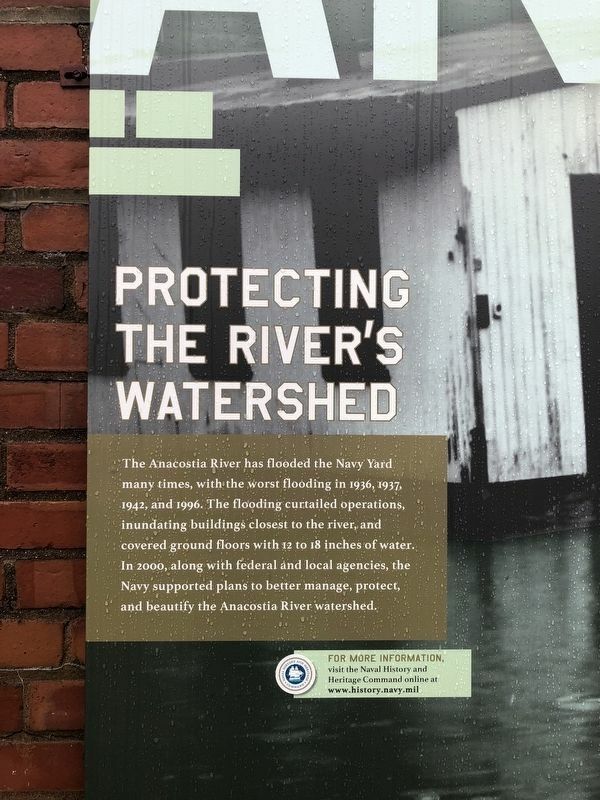 The Anacostia River has flooded the Navy Yard many times, with the worst flooding in 1936, 1937, 1942, and 1996. The flooding curtailed operations, inundating buildings closest to the river, and covered ground floors with 12 to 18 inches of water. 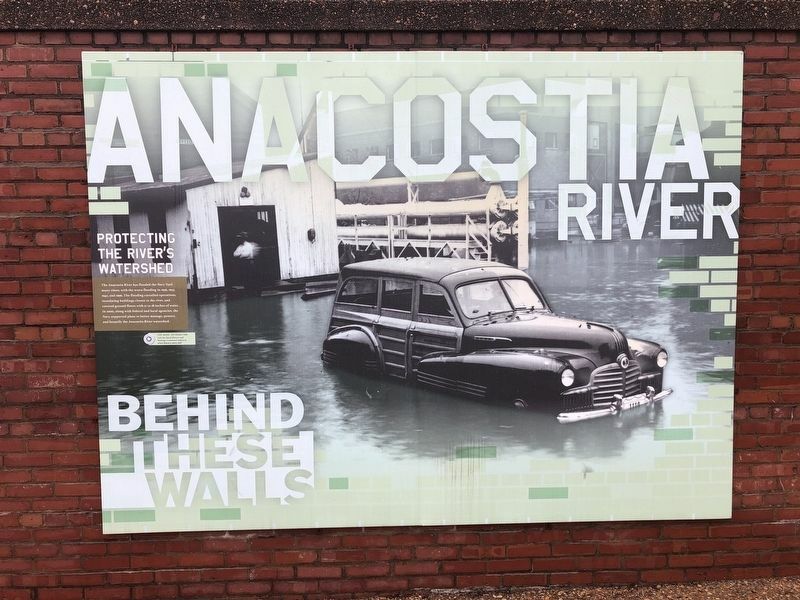 In 2000, along with federal and local agencies, the Navy supported plans to better manage, protect, and beautify the Anacostia River watershed. Location. 38° 52.414′ N, 76° 59.499′ W. Marker is in Navy Yard, District of Columbia, in Washington. Marker is on 11th Street Southeast north of O Street Southeast. Touch for map. Marker is at or near this postal address: 1014 N Street Southeast, Washington Navy Yard DC 20374, United States of America. Touch for directions. (approx. 0.2 miles away); Dudley Knox Center for Naval History (approx. 0.2 miles away); Navy Department Library (approx. 0.2 miles away); Providing Neighborhood Enrichment (approx. 0.2 miles away); Second Officer's House (approx. 0.2 miles away). Touch for a list and map of all markers in Navy Yard. More. Search the internet for Protecting the River's Watershed. Credits. This page was last revised on March 31, 2019. This page originally submitted on March 10, 2019, by Devry Becker Jones of Washington, District of Columbia. This page has been viewed 29 times since then. Photos: 1, 2. submitted on March 10, 2019, by Devry Becker Jones of Washington, District of Columbia.